There are four general steps that investors must complete to become U.S. permanent residents through the EB-5 visa program. Once these steps have been completed, EB-5 investors, their spouse, and their unmarried children under the age of 21 become U.S. permanent residents. They will also have the option to become full U.S. citizens five years after obtaining their permanent residency. The EB-5 applicant must first find a suitable business project to invest in. 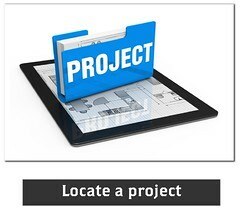 EB-5 business projects generally take the form of either new commercial enterprises or regional center projects. Overseas migration agents often help EB-5 investors locate the project that best suits their needs. Applicants must also ensure that they meet accredited investor income requirements in order to move forward with the EB-5 process. After choosing a project to invest in, the applicants must make the required capital investment amount in the project that they have chosen. The investment must be $1 million, or $500,000 if the project is situated in a Targeted Employment Area (TEA). These investments are often made into an escrow account. 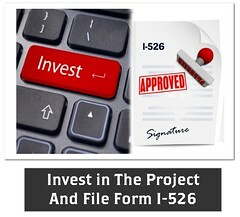 Then, an immigration attorney provides proof of this investment by filing an I-526 petition with USCIS. USCIS typically informs applicants whether or not their I-526 petition has been accepted after 12 to 18 months. Most regional centers will refund your investment if your I-526 is denied. If the investor does not already have lawful status in the United States, then they must file for an immigrant visa by submitting form DS-230 to the National Visa Center and they must process through the U.S. consulate or embassy in their home country. Both of these steps typically require the help of an immigration attorney and the immigrant visa is issued, on average, in six to twelve months. 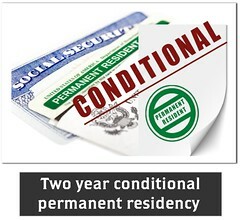 During the two year conditional residency period, the investor is required to fulfill physical presence requirements, and cannot remain outside of the United States for more than one year without obtaining a re-entry permit. The final step in the EB-5 visa process is for applicants to become unconditional permanent residents by removing their two year conditional status. The I-829 petition is submitted to USCIS 90 days prior to the second anniversary of the date that the applicant first received their conditional residency. This application proves that the investor has met all requirements of the EB-5 visa program. USCIS most often issues a permanent green card six to eight months after the I-829 has been submitted. The investor, their spouse, and their unmarried children under the age of 21 can then permanently live and work in the United States and have the option to become U.S. citizens after a five year period from the date they received their initial conditional residency.